Since becoming a mother, I'm all about creating memories, traditions and keepsakes. When you find something that has special meaning, whether it be a photo, piece of jewelry or something passed down for generations, you need to grab hold and never let go. If you are looking for personal and unique gift items, The Pretty Peacock has what you're looking for. From personalized pendants and bracelets to items for men, rings and the good karma collection. Their items are one of a kind, all hand-crafted in Seattle and made with only the finest materials. One of The Pretty Peacock's favorite materials to work with, fine silver is ECO-FRIENDLY, high-grade silver. When my package arrived it was wrapped beautifully! Wrapped inside pink tissue paper, with a black tie and a small Peacock feather, I almost didn’t want to open it! But, I just had to see my lovely creation, I had been waiting patiently for its arrival. Inside the pink tissue paper was a small black box with a bright pink peacock and the words "The Pretty Peacock" on the top. I received an Eternal Love Washer Pendant. It is beautifully hand stamped with the names of my mother's four grandchildren. They are her life and what she lives for. Having them holding onto her neck and pressing against her heart is where she wants them to be... always and forever. It couldn't have been more perfect. The Pretty Peacock will no longer be creating pieces for their Portal Collection - so the ENTIRE collection is 60% off - no discount code needed! Birthstones that go with the Portals have already been marked down 50% - this is the PERFECT time to stock up on these unique pieces for future gift giving! Combine that with a special discount code for my readers and save an additional 10% off your entire order. Simply use FRUGAL2011 at checkout through July 31st. The Pretty Peacock first emerged into existence as a way to feed a creative soul. It has now evolved into a passion to design pieces that celebrate our loved ones, special moments - the most important aspects of life that make it our own. Each piece of jewelry is designed and created with great care, pride and lots of good juju! You will be able to feel the difference. Visit The Pretty Peacock and tell me what your favorite item is. A special thanks to The Pretty Peacock for this great review and giveaway opportunity! I Love the family stone pendent, the you plus me and the wax pendent all of their stuff is beautiful! I follow Pretty Peacock on Facebook and am signed up for their newsletter! 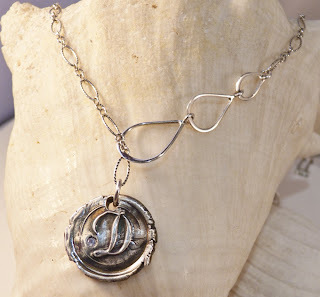 I recently purchased the longitude/lattitude necklace - love it! 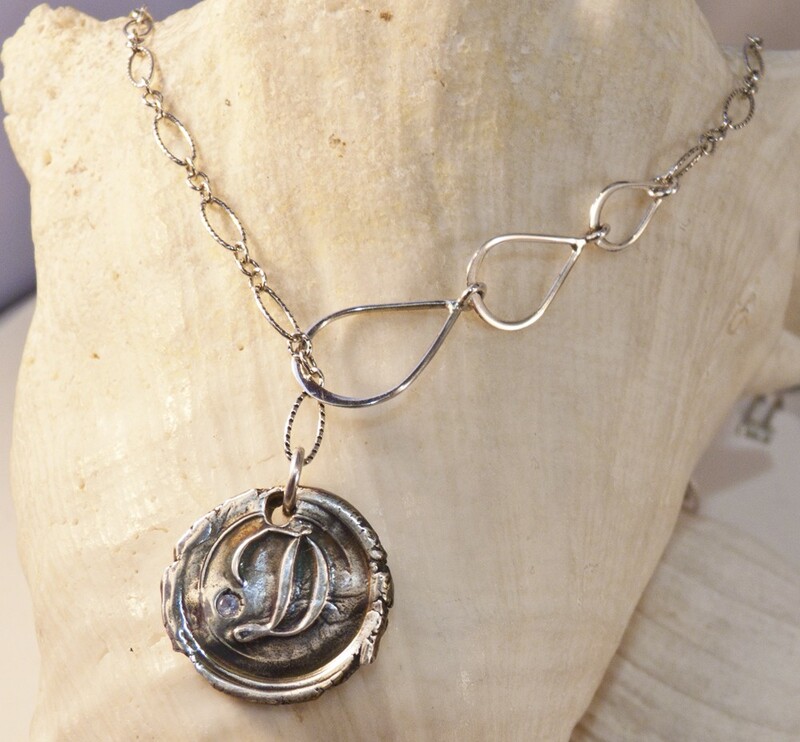 I love the owl pendant and the wax seal pendant, of course! I'm also a fan of the Pretty Peacock on FB. Joann N.M. The you+me charm is my favorite, I love all the Pretty Peacock designs though!!! I follow Pretty Peacock on FB!! I love the Good Karma Lariat pendant in Sanskrit. I like the Family Stone Pendant. I'm a fan of The Pretty Peacock on Facebook. 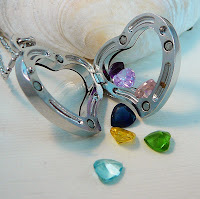 I love the Flyleaf birth stone charms/pendants!!! I love the Wide One personalized sterling silver band ring! follow the pretty peacock on facebook as Sarah C.
I love the Good Karma on Your Wrist! Thank you for another essential article. Where else could anyone get that kind of information in such a complete way of writing. My favorite is the Eco Friendly Statement Bracelets ~ Circle Style ~ Beloved. My favorite peice is the Family Stone Pendant! LOVE it!!! Portals~ Sweetheart Glass Locket Pendant with Sparkling Birthstones.